Beautiful Dominican Amber stones steal heart of people from every age group. It is a little nature’s secret that makes the amber stones so beautiful. The mysteries lie with its origin. 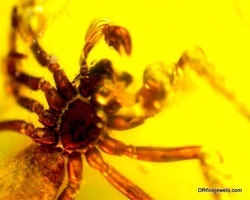 Scientists couldn’t find any specific reason behind its existence at only in the mines of Dominican Republic. So, resource is decreasing day by day making it a wise and attractive investment for now days. It is very own nature of demand. As the Amber stones are so simple else attractive and grabs everybody’s attention it is becoming day by day. But, the price has not reached the sky yet. So, acquire yours today from the finest collections of DR Fine Jewels. On our site you can buy amber stones as a bulk order as well as single pieces of that stone too. Large Dominican Amber Fossil specimen is available only at $ 820 whereas a small specimen of amber stone you might get at $ 270 only depending upon the size and weight the price of that stone increases or decreases. So if you yet to visualize this just go for this stone that is exclusively ornamented in necklaces, earrings, bracelets as well as in other forms. If you need bulk order then it’s cheaper than buying a single stone. The demand of Amber jewelleries in the Europe is increasing as well as rest part of the world too. But you need not to worry at all, just place the order and they will deliver your items at your preferred address. 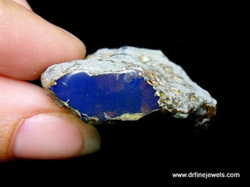 DR Fine Jewels is a trusted and world renowned company for their authenticity and beauty guaranteed on the products of Larimar jewelry and blue, green and multi colored amber stones they produce and market. The company sell their products in the form of raw materials, polished or embedded as jewelleries. Larimar stones and amber stones are very rare species of gems, only found in Dominican Republic. The DR Fine Jewels is a legal entity having a strong hold upon the enriched mines of larimar and amber stones all over Dominican Republic. The speciality of the company lies in the care and quality they maintain rite from packing it from mines to sell it to our customers. Larimar stone and amber stones are an extra-ordinary piece of beauty formed by nature. Along with their complex beauty they also grab the attention of people from various kind of profession like scientists, geologists and historians for their archaeological value. Fossilized amber stone is itself a piece of frozen time left behind from thousands of decades ago. The illusion of glossy blue colouring the amber stones is created by the pressure, temperature and chemical reaction over crores of years. Scientists are still researching on the formation of it. 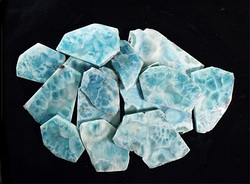 The Larimar slabs feels like a handful of clear blue sky with whisked white clouds all over it. So, grab your own piece of Caribbean Sky early from DR fine Jewels at a very much economic and affordable price.